Melia Robinson/Business InsiderStudents at Basis Independent Silicon Valley write with paper and pens. 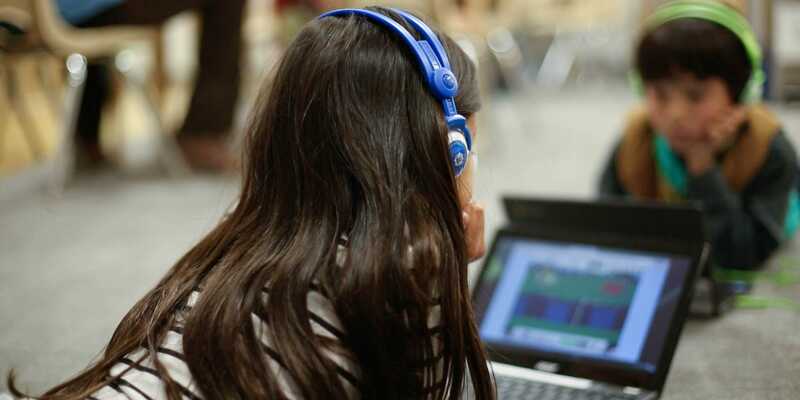 Parents who work in technology are sending their children to “anti-tech” schools that don’t use laptops and tablets in the classroom. 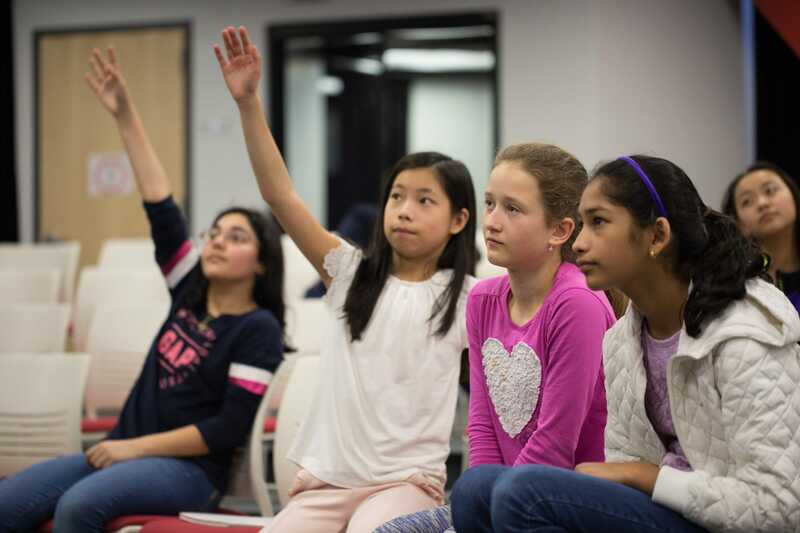 At Basis Independent Silicon Valley, teachers see technology as a tool for instruction, but they believe it should not replace human instruction. Research has found smartphones and other devices used in excess can be dangerous for young people. 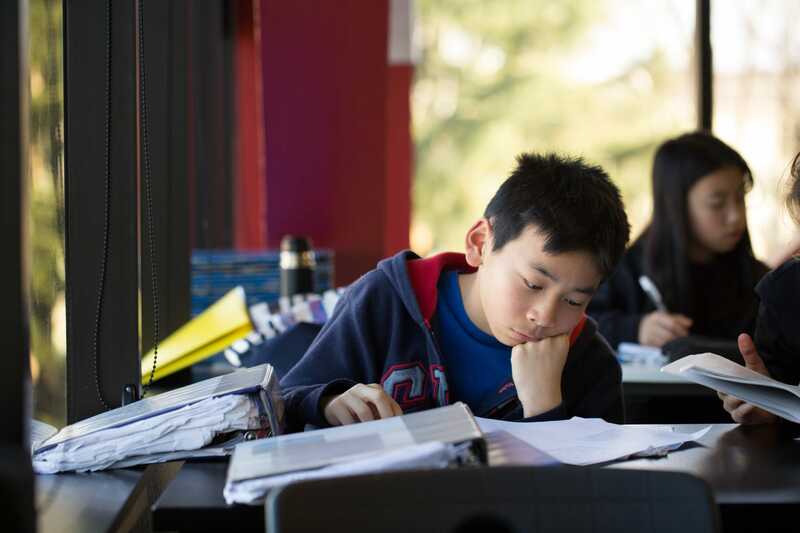 At Basis Independent Silicon Valley, a Bay Area private school that enrolls many children of tech workers, students graduate with a mastery of all things science, technology, engineering, and mathematics (STEM). But they don’t get much screen time in the classroom. The school said it shuns technology as a tool for teaching and uses laptops and tablets only when a teacher requires them for instruction – a practice that falls in line with the thinking of entrepreneurs like Bill Gates and Steve Jobs, who largely raised their kids tech-free. Block said the school, which charges $US28,000-per-year for tuition, will make technology available to any teacher who requests it. But teachers are encouraged not to use laptops and tablets just “for the sake of saying that we want technology in the classroom,” Block said. Melia Robinson/Business InsiderStudents learn on laptops and tablet devices at a private school in San Francisco, California. Some schools, especially in the Bay Area, use software to scale personalised education – an increasingly popular learning style that tailors lessons to students with different ability levels. But critics argue that when technology replaces human instruction, it comes at a cost. Psychologists are quickly learning how dangerous technology can be for teenage brains. Research has found that an eighth-grader’s risk for depression increases 27% when they frequently use social media. Kids who use their smartphones for at least three hours a day have a higher likelihood of being suicidal. In 2011, the teen suicide ratein the US surpassed the homicide rate for the first time in two decades, with researchers blaming smartphones. According to Turkle, people who work in Silicon Valley more often understand the damage that smartphones, social media, and other forms of tech can do, especially to young minds. “When people are very sophisticated, they know what not to do,” Turkle told Business Insider. Melia Robinson/Business InsiderMiddle school students participate in a theatre class at Basis Independent Silicon Valley. At Basis Independent Silicon Valley, Block said many parents ask about how technology is used. There’s still an expectation that their children will graduate with the technological literacy they think is required to compete for spots at colleges like Stanford and the University of California system, and later vie for jobs in engineering, programming, and biotech. Toby Walker, head of school at Basis Independent Silicon Valley, said his students are “acutely aware of where we are geographically.” The day of my visit, a computer-science class was on a field trip to Google’s headquarters, which is located only a 20-minute drive from the school. Last fall, the school installed a new policy that bans cell phone use anywhere on campus except in the main office area. Some students told me the rule was widely unpopular with students who wished to text throughout the day or order lunch through delivery apps like DoorDash. Walker said the policy aimed to make the hallways safer. In between classes, students would scramble to their next class with eyes glued on their smartphones. When students graduate, Walker hopes they will forge career paths as smart, compassionate, and well-rounded adults. He said he doesn’t define their success by their tech savviness. “I want my students to be able to go to a dinner party and speak eloquently across a wide variety of subjects,” Walker said.